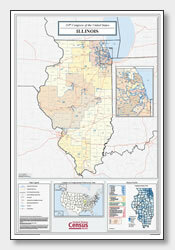 Click the map or the button above to print a colorful copy of our Illinois County Map. 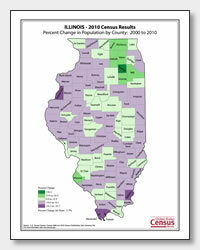 Use it as a teaching/learning tool, as a desk reference, or an item on your bulletin board. 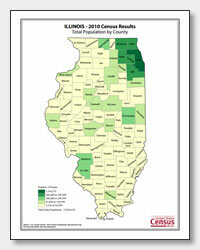 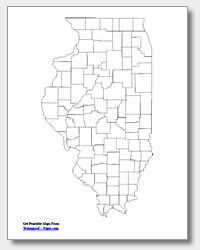 Here is a great collection of free printable Illinois maps. 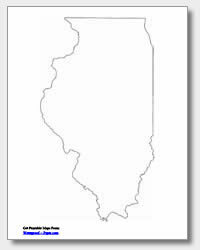 These are .pdf files that download and work nicely with almost any printer. 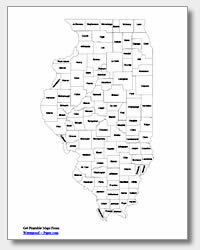 You can print them for use at home, work or school! 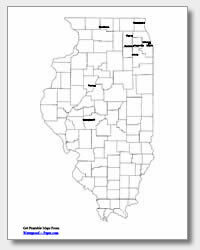 The five different maps offered include: an outline map of the state of Illinois, two county maps (one with county names and one without), and two major city maps (one with major city names listed and one with location dots). 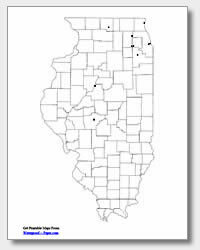 The city names listed are: Waukegan, Rockford, Elgin, Chicago, Aurora, Naperville, Cicero, Joliet, Peoria and Springfield, the capital of Illinois.